Acupuncture, an alternative medicine technique that originated in ancient China, uses needles inserted in different parts of the body to boost the immune system, stimulate circulation and create an overall state of relaxation and good health. Acupuncture treats a wide variety of afflictions, and sometimes the treatment lasts for months. As an acupuncture session can prove quite expensive, acupuncturists sometimes provide their patients with basic training and an acupuncture kit to undergo the treatment at home. Know that no one should perform acupuncture without some specialized training. Though it rarely has side effects, acupuncture proves beneficial only when performed in the right way. Find an acupuncturist in your area and discuss the health problems you would like to solve through acupuncture. Establish a treatment plan and ask how many sessions you will have to undergo and how often. Tell your acupuncturist you would like to learn how to perform self-acupuncture at home in between sessions. Some acupuncturists are willing to teach you the technique and tell you where you can get disposable needles or how to sterilize needles. If your acupuncturist will not teach you acupuncture techniques, find an acupuncture course or teacher in your area. You can find classes by teachers on Acufinder Web at http://www.acufinder.com/. Look for a basic course, as you will not practice acupuncture as a profession but rather need to know the basics of the technique. Even if you have to pay to learn acupuncture, having the ability to perform self-acupuncture will prove cost effective over the long run. 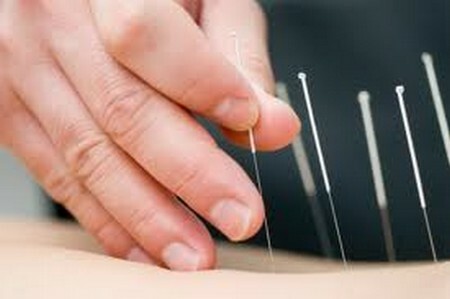 While learning acupuncture yourself, undergo acupuncture treatments with your acupuncturist. Observe the steps the therapist follows during sessions and see how you feel afterwards. Ask your acupuncturist to explain why he inserted the needles in certain areas of your body. Depending on your medical conditions, the acupuncturist might insert needles in the head area; ears; back of the neck; or in the hands, feet or stomach area. Acupuncturists believe the body has acupuncture meridians you must stimulate to restore the energy flow and treat afflictions. When you start performing self-acupuncture, make sure you always sterilized or disposable needles. Even if only you use the needles, they need to be sterilized to avoid causing infection. Handle the needles with plastic gloves to avoid placing dirt or bacteria on them. Acupuncture works best when combined with other alternative medicine treatments. Ask your acupuncturist or your acupuncture teacher about herbal supplements and teas that might benefit your medical condition. Alternative medicine techniques prove very effective if performed with perseverance. If your doctor prescribed a treatment for your condition, don’t interrupt it while undergoing acupuncture treatment; instead, inform your acupuncturist about the medication you take.